Manchester City manager Pep Guardiola has described Chelsea coach Maurizio Sarri as "a misunderstanding." "What happened on Sari's side was just a misunderstanding, he did not see me and I was going to shake him," Pep Guardiola told Sky Sports. "Zola (a Sarri assistant) came to me and talked, and explained that Sari did not see me going to him to shake hands and went directly to the tunnel leading to the dressing rooms." 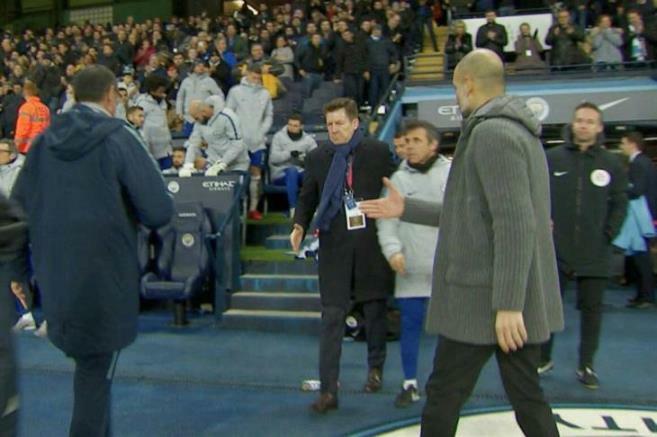 The television showed Sarri ignoring Guardiola, who went to shake his hand after beating Chelsea 6-0 in the Premier League.